WOW! Women On Writing Blog: Is Bigger Better? Ultimately, my question is this: Is bigger better? In context, I'm really thinking about word count for a novel. This post comes at the perfect time as we just wrapped up NaNoWriMo yesterday. I'll be honest, I fell short...but don't worry, I'm going to keep writing even though it's no longer November. Who decides the perfect length of a novel anyway? It bigger better? Is there a place for short stories? Turkeys are freezing right now...my main man Tom was 40lbs...we are doing $3/lb - should I drop him off Friday with your eggs? hadn't intended on spending $120.00 on just the turkey for Thanksgiving and I couldn't even wrap my head around how big a 40lb turkey was going to be. All I was thinking was "where will I get the money?" mixed with "I think our 5 year old weighs about that much...I know for sure the 2 youngest girls weigh less than that" and a few cuss words. I text back that I'd have the money ready and she could drop him off with the eggs. Then I headed down to the barn to freak the freak out with my husband. Not a Knight in Shining Armor - Just a Turkey in Tinfoil! -Would you rather read a longer book or a shorter one? -Do you like any particular series of shorter books? Which ones and why? -How did you do with this years NaNoWriMo? Did you hit your 50,000 words? -Do you have a favorite book that is really quite long but still well done? Spill it - which book and why? -What's a fun Thanksgiving story in your family? Do you have your own "Tom the Turkey" tale? Thanks for being here today - ya'all are great! Winter is setting in the corner of my little cornfield (and the corn is in the silo) and I'm thankful for so much - including the opportunity to write and promote books with WOW! 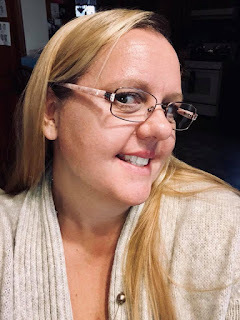 Crystal is a secretary, council secretary, and musician at her church, birth mother, babywearing cloth diapering mama (aka crunchy mama), business owner, active journaler, writer and blogger, Blog Tour Manager with WOW! Women on Writing, Publicist with Dream of Things Publishing, Press Corp teammate for the DairyGirl Network, Unicorn Mom Ambassador, as well as a dairy farmer. She lives in Wisconsin with her husband and their five youngest children (Carmen 11, Andre 10, Breccan 5, Delphine 3, and baby Eudora who somehow turned 1 a few weeks ago), two dogs, four little piggies, a handful of cats and kittens, and over 230 Holsteins. I've never even cooked a turkey much less the behemoth that you had! Good gracious! I'm sure you had leftovers for days. As for the books; I like shorter books; novella length is ideal. Longer books are great too but require more concentration that I'm capable of at the moment. The trend toward higher word counts bothers me. I like both short and long books, but I think a lot of long books could be shorter. If the story has multiple characters and storylines it makes sense that it's lengthy, but otherwise I'd love to see slimmer novels (and more novellas). The best book I've read in years is Samanta Schweblin's Fever Dream and it's not even 200 pages long. Elizabeth - so good to hear from you....I'll hopefully have more information about my WIP early next year and I'll keep you posted! Glad you found some humor in my post, it certainly was a holiday to remember! S.L - thank you for your comments, I'm starting to think novella may be the key for my short attention span! !